While it is a challenge to determine the number of blogs on the internet, rough estimates indicate that there is a little less than half a billion blogs existing today. 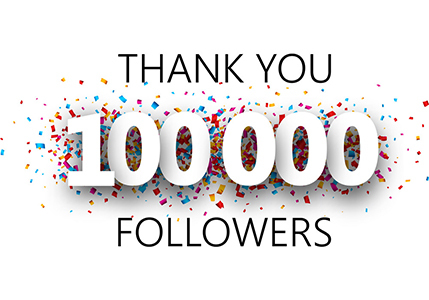 What this means is that roughly one of every 15 people will create a blog of one form or another in their lifetime. If you have any plans to start a blog, this could be discouraging to hear. However, most of the blogs that get started will eventually fail. 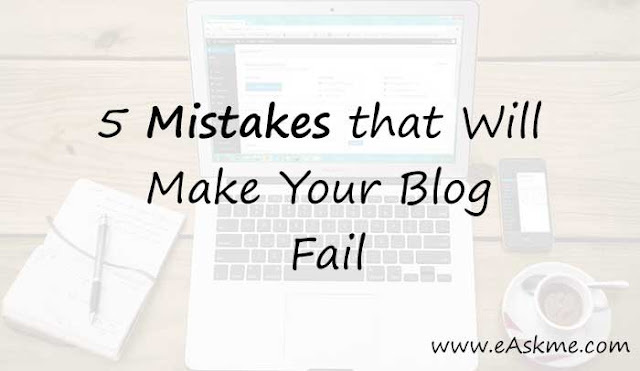 If you don’t want your blog to be one of those, you’ll want to avoid these five mistakes. No matter what you do in life, you need to have a reason why exactly you’re actually doing it. A motive is what enables you to set aims and objectives for your blog. For instance, someone may create a blog because of the passion for writing. If this is your goal, you will probably not care a lot about the money you make, but more about having space to express yourself or think aloud. Some people start blogs with the aim of creating a community where people come to interact and share ideas. Communities like these often appeal to immigrants living in a foreign country, people studying the same subject or at the same institution, people suffering from a similar disease, etc. Others start blogs with the aim of making money and don’t hesitate to take any opportunity to improve their bottom line. Anyone starting a blog without defining their motive first is doomed to fail. Starting a blog without deciding what it is exactly you want to achieve is more like embarking on a journey without knowing where exactly you are going. You are likely to end up nowhere. If you create a blog just because you saw someone earning a huge amount of money from blogging, your efforts are likely to fail due to the lack of passion. Just like anything else you do in life, being passionate is the key to success. Being enthusiastic means that you care not just about money. It is having the courage to go on even when things do not seem to be moving in the direction you envisioned. Hunger for success is what will inspire you to continue when people will tell you to stop. This is the desire that will encourage you to work sixteen hours per day and forget about the weekends until you achieve your goal. Since the days when the first blog builder appeared online, things have been changing very fast in the blogging world with so many people making money from their blogs. However, this doesn't mean that the moment you create a blog you can expect thousands to start flowing into your pockets. If your goal is to make your blog a source of revenue, you will have to arm yourself with a lot of patience. The desire to start making money immediately is a recipe for disaster. Many people who start blogging with the intention of earning money within a short period of time are likely to abandon their blog as soon as they notice that it doesn’t work just as they planned. If you build your blog with the aim of improving the lives of others by making valuable content, you will see that money follows your efforts. The basic idea is to establish yourself as an authority in your niche and convince followers to come back for your insights time after time. Many bloggers who failed made the mistake of thinking that search engine optimization (SEO) is not important. Many argue that they are writing for human beings instead of robots. Among many things, SEO involves including specific keywords in your text which will help you to attract the attention of people looking for the information within your niche. So, when you find the best blogging platform for your needs, make sure you also use reliable SEO tools to know what keywords are the most frequent in your niche. Also, if you don’t want your blog to fail, you’ll need to learn more about SEO and how you can benefit from it. The great thing about SEO is that it brings you the most valuable traffic as users who find you on search engines with the help of specific queries are likely to become your most loyal audience. It’s true that a jack of all trades becomes a master of none. Your blogging project will fail if you are not entirely clear about your niche. Focusing on a particular subject ensures that people realize what you are good at and they start to see you as an authority in that area. What this means is that instead of building dozens of blogs, you need to have one that you can fully dedicate yourself to. Once you are happy with it, you can then use your experience to create the next one and so on. Building a successful blog is a hard and involving work. This is the reason why those who attempt to maintain many blogs at once soon run out of energy, get discouraged, and abandon them. As you can see, bloggers fail for a reason. Clarifying your objectives before you build a blog will ensure that you know the milestones you need to achieve. In blogging, there is nothing that beats passion. It is the fuel that keeps you going when you feel that things are not going just the way you planned. In blogging, patience is a virtue. Success only comes to those who are ready to dedicate a lot of time and efforts into it. Apparently, learning the ropes of the trade such as the use of SEO will also go a long way. And the last but not least, it is important to concentrate on one topic so your authority can be well established.